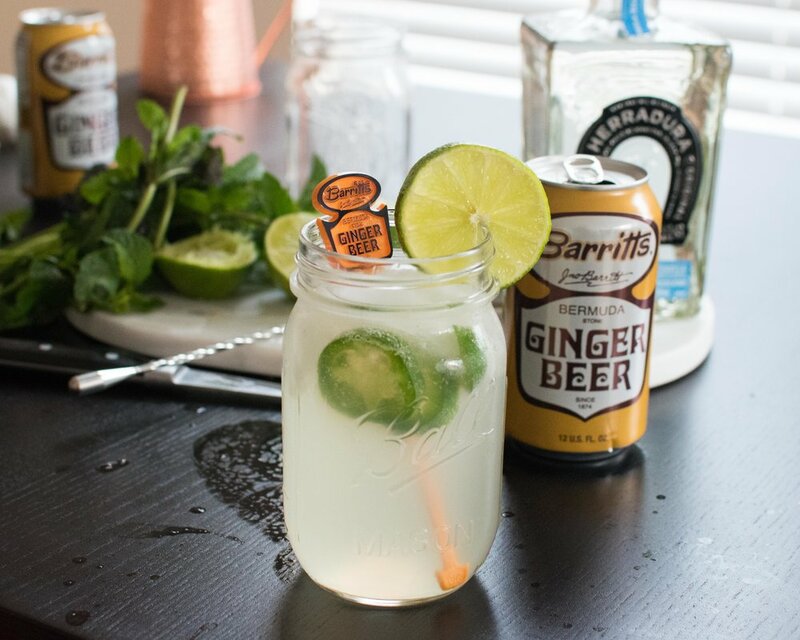 When I found out about the Mexican Mule from Barritt’s website, I knew immediately that I needed to throw it on the site. Not only because it has the spicy ginger beer, but because of the tequilas. Any opportunity I get to tout on about some good tequila, I’ll take it. Herradura, that’s one tequila brand you want to remember. Yes, it’s that good and is my go to for any recipe involving tequila. But with this Mexican Mule it blends two spicy flavors together nicely. It takes that spicy ginger flavor of the Barritt’s ginger beer and merges it with the carnal spice of the jalapeño. The thing I enjoy about the Barritt’s ginger beer is that it is not overbearingly spicy which some other brands struggle with. Their ginger beer has a smooth spiciness to it that is even good drinking straight. Now the Mexican Mule is a spicy drink that may not bode well for those with weak pathetic taste buds. But for those cocktail drinkers who don’t mind a bit of sweat on their brow, send one of these their way and I promise they will come back to let you know that it was lit, or bomb, or any other explosive/fire related compliment. Be sure to check out the Moscow Mule post by clicking HERE, or check out Barritt’s site for more recipes by clicking HERE.